Just under 300,00 Allied servicemen from Britain, the Commonwealth and the United States were captured in Europe and North Africa between 1939 and 1945. Using a wealth of of new sources and archival material, POW describes their experiences at the hands of their German and Italian captors. Prisoners’ day-to-day lives are vividly brought to the fore: the workings of the prison-camp system; the distinctions of rank, service, nationality and race; artistic and intellectual endeavours; and the ways in which men maintained contact with the outside world through letters, parcels and the benign agency of the Red Cross. Everyday life is offset by high drama too. POW tells of the secret organisations who smuggled escape aids to the prisoners, who, in return, furnished their home nations with intelligence from occupied Europe. And if few men were actively engaged in escape attempts, many more provided tacit support or were engaged in sabotage and other resistance activities. 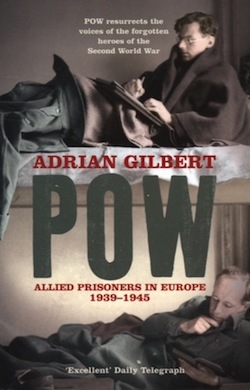 POW is a compelling window on to a fascinating aspect of the Second World War.